AbelCine is busier than most retail establishments at 10 o’clock on a weekday morning. But then again, AbelCine is not like most retail establishments. Located in a stately redbrick four-story building across the street from Cinespace, the company includes several film industry vendors among its neighbors. Khan is a graduate of the film school at the University of Windsor. 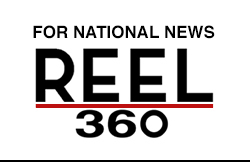 He produced Canadian documentaries and worked in local politics before accepting a position with AbelCine’s Chicago office. He is also, quite possibly, the friendliest person in the zip code. Besides selling gear to everyone and everything from rental houses to film students, AbelCine also does a huge amount of training. Megan Donnelly, an active member of the film community, is the fulltime training manager. 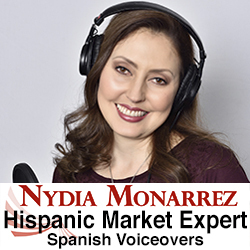 She’s not only equipped with industry expertise to share, but also capable of finding the right minds for pretty much everything related to filmmaking. DPs from the shows currently putting Chicago on the national TV map frequently teach classes in AbelCine’s theater, which boasts a pro quality audiovisual display and plush rows of seats. Guest experts also offer small group sessions in the company’s main showroom. The program’s recent guests include Directors of Photography from Empire (Paul Summers), Chicago Fire (Jason Caruthers), and Chicago PD (Ron Schmidt). 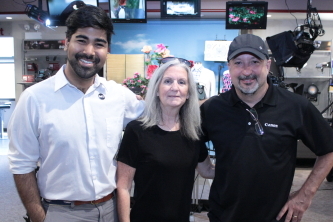 Today, Canon USA Pro Market Rep Dirk Fletcher is showcasing the Compac Servo 70-200. His presentation is casual and informative, much like AbelCine’s culture. 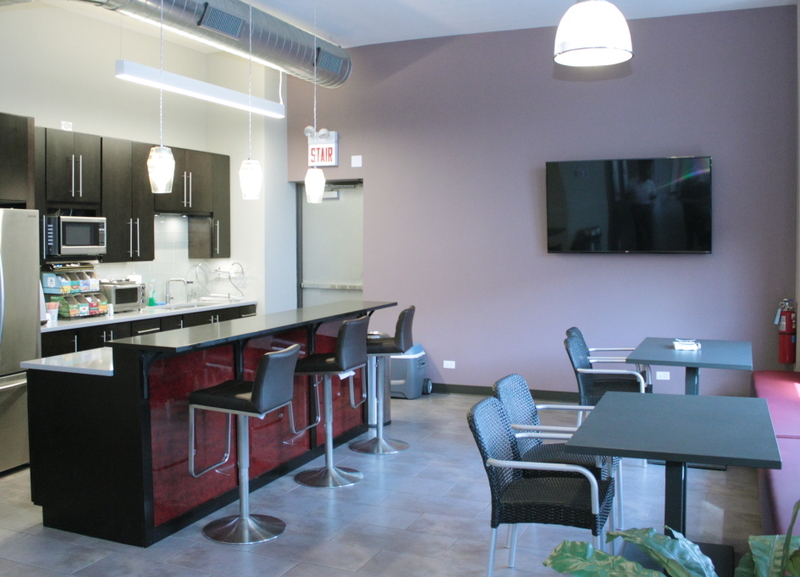 Offering such a sneak peek is part of the reason AbelCine relocated from Oak Brook Terrace to Chicago Cinespace Studios . 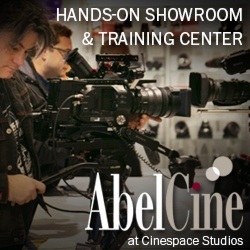 AbelCine even allows customers to bring in their own gear for a consultation on how to use it. A few weeks later, AbelCine hosted its 2017 Chicago Cinema Tech Expo in the grand exhibition space of the building’s second floor. Hundreds attended event. To see who was there, click here.